Do you want a Better Looking Smile! Tooth is more valuable than a diamond! Their SMILE says it all! We offer world class dental treatment! Basically we strive to work on dental treatment planning for patient with least amount of discomfort to be experienced by the seeker. We do not compromise on the quality of treatment administered; at the same time striagent protocols are followed. Pleasant and warm welcoming to our clients.
" CARE - CONFIDENCE - CREDITIBILITY "
Rayen’s Dental Centre is located in Nungambakkam, Chennai. We are the best dental clinic in Chennai well known for our hygienic, best quality dental treatments across all disciplines of dentistry. Moreover, what our patients love about us is that we make our patients comfortable and transparently explain the treatment process to them. Rayen’s Dental Centre has been in dental health care services since 1964 in Tuticorin, Tamil Nadu. In Chennai, we have been working since 2013. We have served more than 5000 patients in Chennai. Our dental team includes general dentists, orthodontists, periodontists, oral and maxillofacial surgeons, oral medicine experts, pedodontists, endodontists, prosthodontists and implantologists. We not only provide affordable best dental healthcare and also adhere to the quality standards in hygiene and safety. We offer dental treatments for both adults and kids. We provide fillings and root canal treatments, dental implants, dental bridges, crowns and fixtures, dental braces & aligners and cosmetic dental treatments. 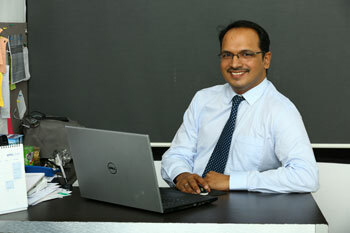 Dr.Roshan Rayen is an alumnus of Madras Dental College and Meenakshi Ammal Dental College. He has been serving as a Pedodontist and Dental Surgeon for over a decade. He has handled more than 5000 pediatric cases. He has served in various prestigious hospitals like Dr.Vijayalakshmi Acharya’s clinic, Best Hospital, Ministry of Defence \9Avadi both as a Pedodontist and General Dentist. He has been publishing papers in leading national and international journals on conscious sedation. He is among the pioneers of the technique – sleep dentistry. He is passionate about sedation dentistry and regularly conducts dental camps and training programmes for dentists’ community. Rayen Dental Centre is the best Dental Clinic in Nungambakkam, Chennai. We are experts in Sedation Dentistry, Dental Implants , Fillings & Root Canal Treatments , Oral & Maxillofacial Surgery – Bridges, Crowns & Dentures , Orthodontics – Dental Braces & Aligners , Advanced Gum Health & Gum Care , Cosmetic Dentistry , Special dental care for kids, Teeth Alignment , Prosthodontic teeth replacement, Tooth trauma specialists, Laser Dentistry, Preventive Dentistry & advanced gum care treatments.